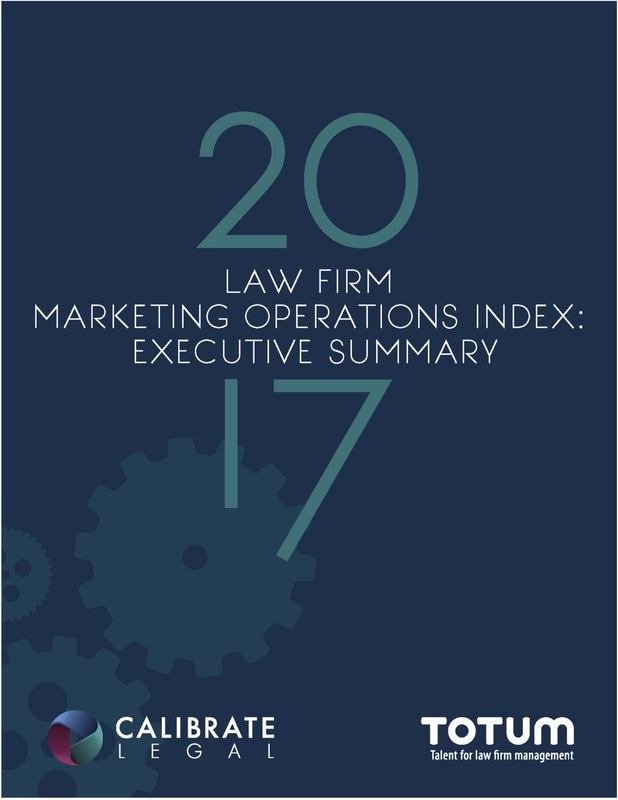 This proprietary research, conducted by Calibrate Legal and Totum Partners, asked Chief Marketing Officers at the world’s largest law firms for their views on the state of Marketing Operations at their firms. Although the research reveals pockets of excellence and motivation, it shows that law firms, as a group, are not leaders in adopting the Marketing Operations best practices that have been successful in other sectors. Download the Executive Summary or contact us for a copy of the full study. By clicking here I consent to receiving electronic communications from Calibrate Legal.